sailboat. : Sharing The Love: Four Wonderful Blogs! A little while ago I opened up a portion of my sidebar to a few monthly advertisers & I wanted to be sure to tell you all about them, because they're pretty fabulous and I would just love if you could go and show them even more love than you show me! I've spent the month so far getting to know them and their blogs so I can share with you why I think you should get to know them too! It would mean the absolute world to me if you would pop over and have a read of these wonderful blogs. 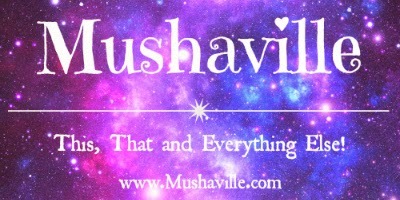 Mushaville written by the beautiful Charlotte, is a fabulous lifestyle blog that I'm certain will become a firm favourite of mine this year. Charlotte is so relateable, with a really endearing writing style and although I've 'known' her for a little while already I'm really excited to get to know her a little better this year. Charlotte has recently moved into a new house with her boyfriend, which is so exciting and I hope she'll be sharing some of her crafty tips because she's super good at those kinds of things! She has a Weekly Wonders series, which I adore because she always manages to find the best things online, I mean check out the mouse & cheese necklace here - SO cute! I'm really looking forward to reading more of Charlotte's beauty posts too because her reviews are so detailed and I'm sure she'll be adding one or two things to my wishlist, which I always welcome! 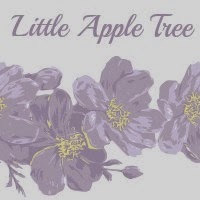 Little Apple Tree is a truly wonderful lifestyle written by Angela, a lovely lady who loves crafting & getting lost in a good book! Together with her husband and ridiculously adorable son, they love to treat life as a big adventure making sure there is lots of laughter along the way. I think that's the most amazing way to live life, having fun is what it's all about! My favourite posts to read from Angela are her Friday Favourites series because I always find something that makes me smile or something I need to check out immediately and I also love when she shares recipes. She even made pumpkins seem super appealing with this recipe to someone (me) who isn't the biggest pumpkin fan at all & that's no mean feat! 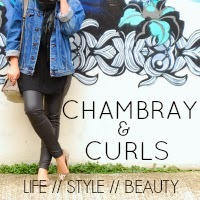 Laura from Chambray & Curls is one of the nicest and most thoughtful ladies I've ever met and I'm so, so happy that our online paths have crossed through the bloggersphere. Laura is a busy bee and I have no idea how she manages to fit in writing amazing blog posts into her schedule. Laura has the most wonderful style (& the most amazing hair!) and she has a beautiful writing style that really makes you feel like you're talking with an old friend rather than someone you've never met. In my favourite post from her so far this month she shares her love of simple jewellery. I completely agree that the simplest of pieces can add so much to an outfit & Laura knows how to accessorise perfectly! This is the second month that Sunny Sweet Pea, written by Jenny, has advertised with me and I'm so pleased that I get to talk about her again here! Jenny's blog is a place I absolutely love to stop by and spend a few minutes of my day because it's just so lovely. Jenny is one of those people who you feel like you're really good friends with even if you've just stumbled across her writing for the first time. Jenny shares the most amazing looking recipes, she has brilliant book recommendations and she makes YouTube videos too, which just prove how sweet she is! She's also currently hosting the cutest giveaway ever! Her personality really shines through & you'll adore her, I just know it! It would mean the absolute world to me if you would pop over and have a read of these wonderful blogs. They're all written by incredibly talented and beautiful ladies who deserve all the love & support in the world! ill have to check these lovely ladies out! This is the perfect post for Valentine's Day :) Sharing the love! I follow all of these blogs thanks to you! I'm already following Jenny so I'll have to check out the others too! I really like these kinds of posts it's nice to discover new blogs!